That year, 1914, the 20 ships of the sealing fleet sailed early in March. Hedley Payne, a dark, wiry lad from Wesleyville who had wangled his very first berth to the ice, walked for two days to the Gambo railway station to catch the sealers’ car into the capital in time to sign on. He had just turned 18. With him was his best friend, Job Easton, 19. In St. John’s, they bought their gear on credit at Harvey’s and then went to take a look at their ship, the Newfoundland, 568 tons. She was the largest of the 11 old wooden walls in the fleet and when Payne saw her he thought she must be the biggest ship in the world. In command was Capt. Westbury Kean, 29, a member of a Newfoundland dynasty of merchants and sealers dating from the 18th century. That year, his father, Capt. Abram, had a new steel icebreaker, the Stephano, and his brother, Capt. Joe, had Stephano’s sister ship, the Florizel. The Keans, being kin, had privately agreed to help each other out when needed. They’d look after one another’s men if a crew was separated from its home ship at nightfall. And Capt. Abram said he’d signal Capt. Wes by hoisting the Stephano’s after-derrick if he found seals first. The Newfoundland cleared from St. John’s on March 10 and got north as fast as she could. Then, on Monday, March 30, the Stephano’s derrick was raised in the prearranged signal. The Newfoundland immediately got up steam to overtake her, but about six o’clock at night she jammed hopelessly in the ice. Capt. Wes then decided to send his men on foot to the Stephano to get in on the seal slaughter, and at dawn on Tuesday morning he turned them out on the ice. At the time, the day seemed fine. The air was soft with coming spring and many stripped off the heavy clothes that might have saved them later. The only food they took was hardtack and a bit of raw oatmeal and sugar. The big grizzled first mate, George Tuff, 50, was in charge of the 134-man party. The Stephano, visible on the horizon, was seven miles away. They quickened their pace and got to the Stephano around noon. They went below for a mug-up until the call came, “Newfoundland’s crew over the side,” and when they came up it was just starting to snow. The Stephano manoeuvred so her weight would tighten the floes and give the men a solid jump-ground, and they tumbled out on the ice. While she steamed off, the men walked inland to the seals, a patch of some 800. They moved among them swiftly, singling out the whitecoats first and killing them with a sharp tap on the nose with a gaff. Others set to work to skin them. The men’s boots were soon slippery with blood. Now the snow thickened — “those big blossoms that pitch on you and then melt,” recalls Payne. “We weren’t cold, but we were getting wet.” Soon, they could see only a few yards. This was when many of them learned that Capt. 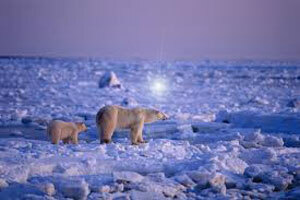 Abram wasn’t coming back to pick them up; instead, Tuff had agreed that they’d return over the ice to the Newfoundland. Now, they were heading into the wind’s teeth and it was suddenly a gale. It carved their wet clothing to their bodies and froze it into stiff mummy wrappings. The men began to flounder, doubled against the slice of the wind and the sting of driven snow, slithering waist-deep into slob ice or stumbling into open water. The vanguard halted uncertainly and when Tuff caught up, he said they’d better dig in for the night. He mustered off the party into three groups of 45 men under master watches Arthur Mouland, Tom Dawson and Sidney Jones, and told them to kick up blocks of ice into shelters. Hedley Payne and Job Easton were in Mouland’s group. They decided against using their gear for fuel, but in the other shelters men with clumsy fingers struggled to set fires with gaffs and towropes. The ones who’d got wet to the skin were already horribly frostbitten. One man thrust his numbed feet right into the fire and never felt the heat till they were badly burned. Another, hacking at his hardtack with a knife, accidentally severed his finger, mitten and all, and stuffed it in his mouth without noticing. It was now well after six o’clock. Back on the Newfoundland, Capt. Wes was to spend the night preoccupied with the safety of his ship. Jammed in the ice in a bitter southeast gale with a heavy swell, he was several times in deadly danger. As for his men, he thought they were safe aboard the Stephano, according to the family arrangement. Aboard the Stephano, Capt. Abram, who knew they’d been heading back to the Newfoundland, gave them no more thought. Some time after dark, the wind veered and the temperature plunged to 10[inverted exclamation mark] F. Now the shelters gave no protection from the blizzard. Around 10 p.m., a man in Mouland’s shelter went mad. He shouted and shrieked and turned on the others with his sheath knife. Then he fell to the ground and rolled around, still screaming. It went on for two hours until around midnight, when he died. It was urgent that they stay on their feet. Some of them shuffled round and round in circles. Jess Collins from Hare Bay took charge of one group and set them to act out jigging for fish. Then he made them march in single file, each pounding the back of the man in front. During the night, Mouland, patrolling the fringes of his group, found two men dead; he lugged the bodies outside the shelter where the others wouldn’t notice them. When dawn came, the snow had stopped, but the gale continued. The Newfoundland, jammed in the ice, was less than two miles away and there were five other ships in the area, but the wind was blasting the drift in blinding, choking jets across the ice and the men could scarcely see. The master watches went swiftly among their men counting heads. Surprisingly, most had come through the night alive and their spirits had risen with first light. They’d be spotted soon, or the weather would clear and they’d locate the Newfoundland. The day wore on. Around 5:30 p.m., when darkness began to fall, the men understood that they’d be on the ice another night. Then they began to die like flies. Before, they’d died hard, screaming in rebellion and delirium; now they died stealthily, shaking off anyone who tried to keep them on their feet. The vessel set out for St. John’s with the dead and the most seriously crippled. On the way, Payne was taken on deck to see if he could identify Job Easton. He couldn’t make him out in the jumble. Later in St. John’s, however, the bodies were taken to the King George V Seamen’s Institute and put in the swimming pool. After hot water was run in to thaw them, Payne was able to pick out his friend by his clothing.